2019 Land Rover Discovery HSE Luxury 4WD ZF 8-Speed Automatic V6 SuperchargedRecent Arrival! If you are looking for high-end features without compromising on capability in your next luxury SUV, the Land Rover Discovery is a great choice. 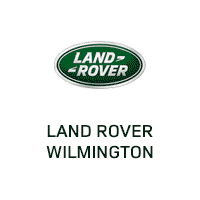 If you opt for a quality Land Rover Discovery at Land Rover Wilmington, you can get all the prestige–browse our inventory to find the model to take home to Newark. The Land Rover Discovery has been named a 2018 SUV of the Year finalist by MotorTrend for its off-road prowess with features like Terrain Response®, and well as its wide variety of engine options, including a diesel option, so you can choose a model that will handle any Middletown weather and road conditions. It can also tow up to 8,201 pounds. Learn about Discovery trim levels like the Land Rover Discovery HSE, or explore Land Rover Wilmington near West Chester, PA. We offer a wide variety of new, used, and certified pre-owned Land Rover Discovery models, as well as the full Range Rover lineup, and we are dedicated to providing you with the highest quality and the best shopping experience. When you are ready to take home a model for yourself, contact us for a test drive.